Some of you may know about Fractured Space. It’s been around for a while now, since last November, on Steam Early Access in its alpha state. It went true free-to-play a few months ago after starting out requiring paid DLC packs, and it’s poised to enter its open beta phase. It was in this state that I had a chance to take a shot at it and speak with the developer, Edge Case Games, at PAX West, in the private Fractured Space room. 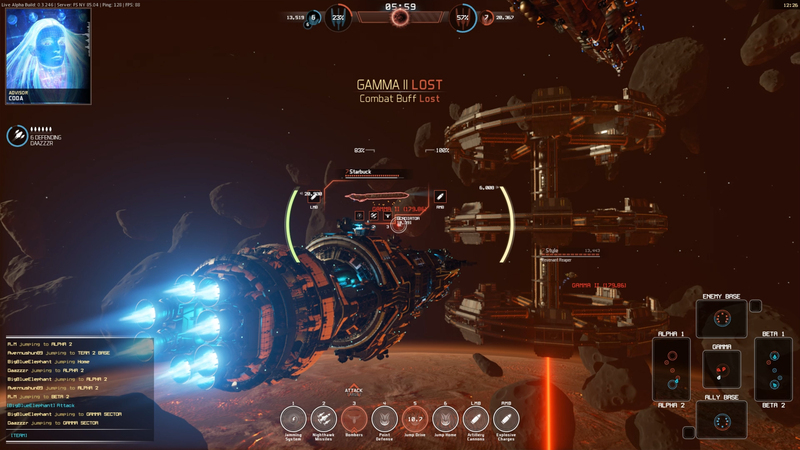 For those who are unaware of the game, it’s a 5v5 third-person MOBA-style game, where each player is put in command of a massive capital ship to vie for control of five sectors, with the goal of taking over the other team’s main base on the opposite end of the map. 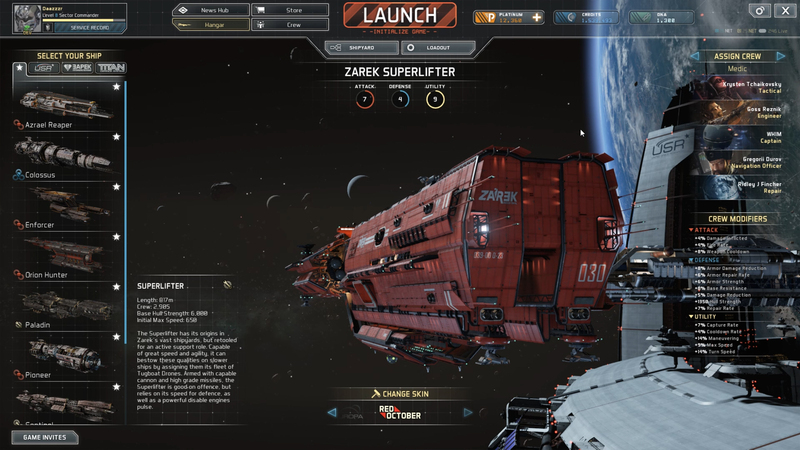 These ships are huge, miles long in fact, and so they can’t exactly zip freely around the battlefield, aside from certain cases, meaning that gameplay takes on an odd pace for a MOBA. Moving normally, ships are lumbering monsters that can’t accelerate or turn quickly, meaning that ordinarily the game moves much more slowly than other MOBAs, thus asking less from the player in terms of twitch reactions. However, because the game doesn’t only take place on a single plane, players also need to be aware of all directions around themselves, even above and below, watching out for approaching enemies. In addition to moving normally, certain ships can also blink short distances, moving there instantly after a short warm-up, and all ships can jump to certain points around the map, meaning that if you don’t keep a close eye on enemies around you, they can just appear directly on top of you. If this happens with more than one enemy, your odds of survival are incredibly slim. 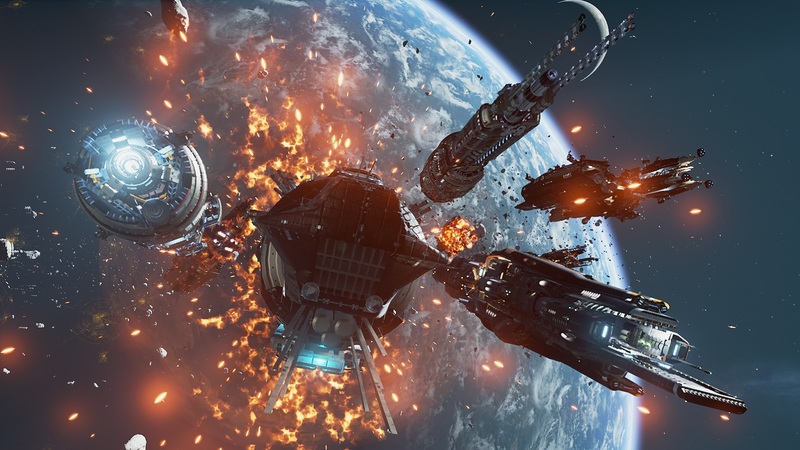 One thing that Edge Case prides itself on is that it’s not possible to carry in Fractured Space, meaning that even if one player is much higher skill level than everyone else, they’ll still need to rely on their teammates to succeed. Apparently, this was even shown directly in one match at PAX; one of the players was one of the top in the world, but when he was faced alone against three newbies, even though he managed to take down two of them, he was still overwhelmed thanks to teamwork. Knowing the ships is also important, and realizing the strengths of your ship versus what you’re going up against; such as kiting a short-range Brawler or Colossus from just outside their range, hitting a flank-shielded ship from the vulnerable top or bottom. Teamwork is everything. After playing, I had a fairly lengthy discussion about the development process. Edge Case Games is taking care to listen to their community, as well as keeping a close eye on play and usage stats. If the community at large has a problem with something, Edge Case will listen and address it, and if they see that a ship is being underused or some other anomaly in usage they will take a look to diagnose and fix the reason for it. That’s the nature of ongoing open development, with a community that cares just as much about the quality of the game as the developer does. It’s possible to join the community now; as I mentioned, the game is free-to-play on Steam, and the team plans to launch the beta on September 22.